LAWRENCE – Two films showing at the Slamdance Film Festival, which opens today, Jan. 22, have ties to the University of Kansas. A short film directed by film and media studies student Savannah Rodgers is an official selection of Slamdance. Rodgers’ film, “Sketches,” is one of 14 films selected for the second edition of the Fearless Filmmaking: Art on Your Own Terms category sponsored by Digital Bolex. Brock Chart, music composition graduate student, wrote and recorded sections of music in the film “Savasana,” which will open at Slamdance on Saturday. “Savasana” is one of 23 films featured in the Narrative Shorts category and was selected out of the more than 3,700 films submitted to Slamdance. Held in Park City, Utah at the same time as the notable Sundance Film Festival, Slamdance is focused on emerging filmmakers and low-budget independent films. Rodgers and Matt Jacobson, associate professor of film and media studies and director of photography on “Sketches,” were both invited and will attend Slamdance. Rodgers’ film follows two women who struggle with domesticity and their opposite personalities after falling deeply in love. Along with other students from film and media studies, the film features two actors from the Department of Theatre, Ashley Kennedy and Laurie Winkel. Rodgers has been directing, writing and producing short films since 2014. Her debut short film, “Politically Correct,” is presently on the festival circuit. Rodgers is a filmmaker based out of the Kansas City and Lawrence areas. Since 2014, she has been producing short films, web series, PSAs and television pilots. Rodgers is a production freelancer, and she serves on the board of directors for Kansas City Women in Film and Television as well as the See/Saw Film Festival. She also runs Professional Amateur Productions. 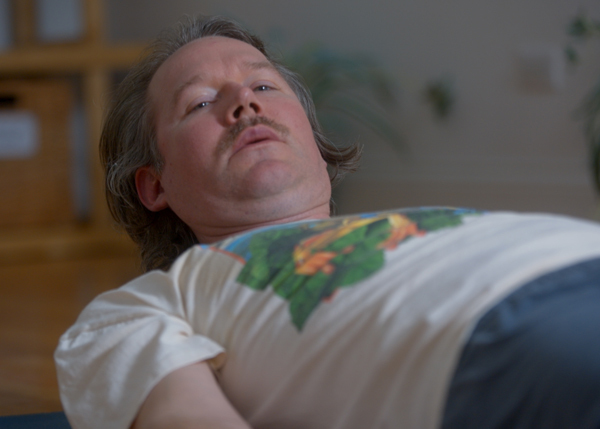 “Savasana” is a 10-minute film about a middle-age man who goes to yoga class, has a traumatic experience and returns home shaken. Chart and the film’s director, Brandon Daley, are grade school friends from Salina. Daley invited Chart to collaborate on the film. Among other places, Chart’s music is featured in a scene where the main character is going through a mental breakdown. Chart describes the music as "abstract and very out there." Chart’s music also will be featured on “Signature Attraction,” a 30-minute documentary on the psychological pull of roller coasters. Australian filmmaker Malcolm Burt, who connected with Chart through the online site Reddit, directs the film. Inspired by the music from last summer’s Pixar hit “Inside Out,” Chart drew on the film’s simple piano theme to create an upbeat, happy mood in “Signature Attraction." While Chart composes the music using computer software, he starts off hand-writing the musical score. To record the music for “Signature Attraction,” Chart played piano, and KU senior Russell Clark played violin. Slamdance was established by a wild bunch of filmmakers in 1995 who were tired of relying on a large, oblique system to showcase their work. Slamdance is an ongoing experiment that has proven, year after year, when it comes to recognizing talent and launching careers, the independent and grassroots communities can do it themselves. Slamdance continues to grow and exemplify its mantra: By Filmmakers, For Filmmakers. Photos: At top, Actor Paul Gordon plays a middle-age man shaken by a yoga class in the 10-minute film “Savasana." Brock Chart, a KU graduate student, composed music for the film. Above, a scene from the film "Sketches," directed by KU student Savannah Rodgers. Both works will be featured in the Slamdance film festival.